CHINI LIVE..Keeping up with the latest Buzz! 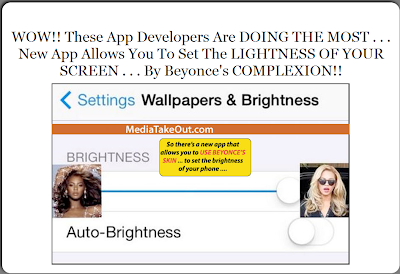 : Mediatakeout reports about an App that uses Beyonce to??? Mediatakeout reports about an App that uses Beyonce to??? 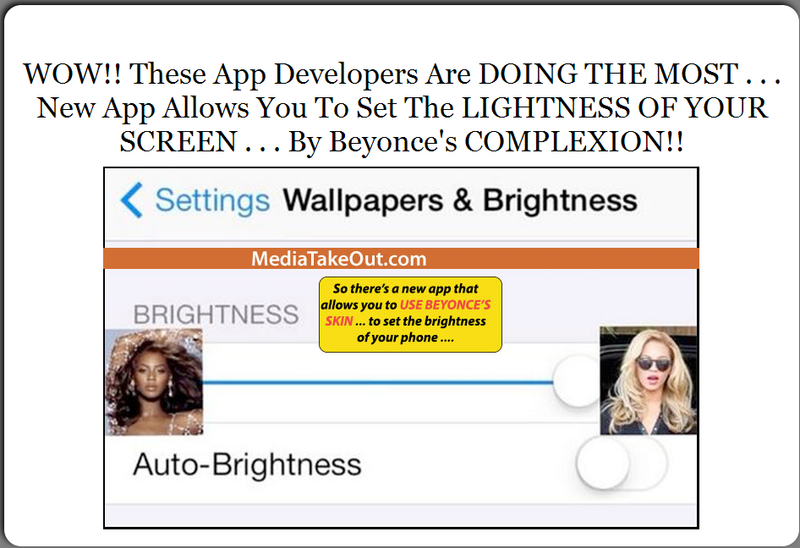 According to Mediatakeout.com, there's a new app that allows you set the brightness of your screen using Beyonce's complexion. In plain English, they used two pictures of Bey, one dark skin and one very light skin (near white skin)- as seen in picture above. So if you want the screen darker, drag the button towards the darker skin tone and... you know how it goes.. LOL. What you think?